Vidya Srinivasan serves as Senior Vice President of Infrastructure, IT and Risk at Genpact. 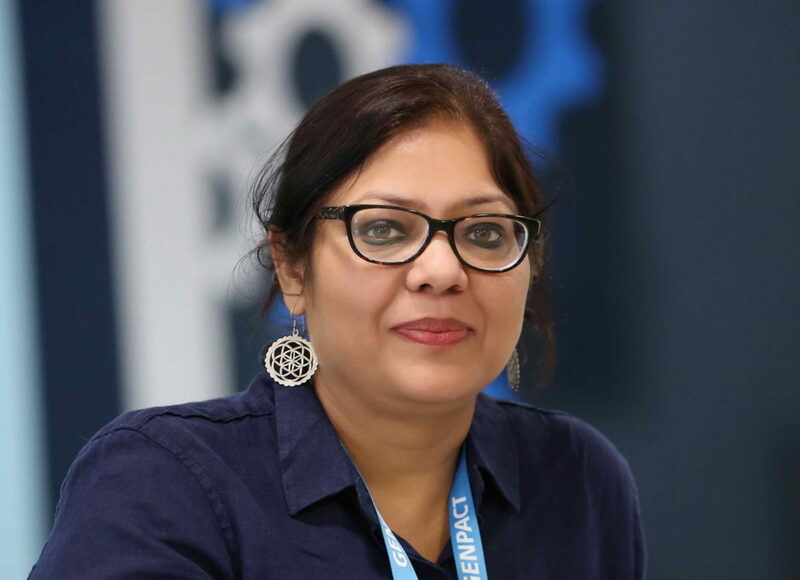 Her role is critical to ensuring that Genpact’ s operational and technology infrastructure continues to grow along with the company and its client base. Even more important, she is overseeing the company’s information security efforts to drive the utmost compliance and industry standards given Genpact’ s large employee and client base around the world. Her current role in IT includes working on future state IT infra and support model , cloud migration,,upgrade of internal applications , InfoSec risk , investment as well as Board level engagement on InfoSec and emerging risks . All new site set ups, M&A integration from an IT, Infra and Risk standpoint is in her scope of work. She manages Global Mobility (visas) and operations risk as a part of the overall portfolio. Vidya worked with American Express and Ballarpur Industries prior to joining Genpact. She received her J.D. degree from the Campus Law Center, Delhi University. She has been a speaker and participant at conferences of Gartner , Oracle (APAC) and Cisco.